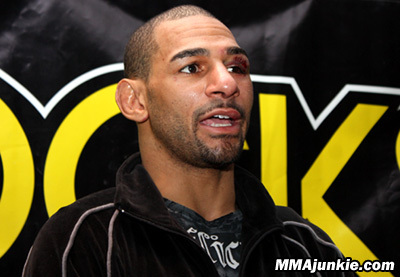 The questions about Jay Hieron’s future finally have been answered. After spinning his wheels in Strikeforce and never getting a title shot that always seemed within arm’s reach, the UFC veteran and former IFL champion has joined Bellator Fighting Championships. 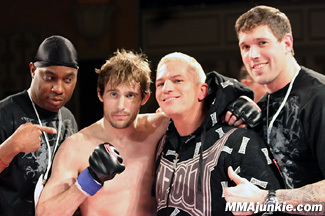 He’s one of eight competitors who compete in the upcoming season-four welterweight tournament, which commences in early 2011. Other confirmed participants include Dan Hornbuckle, Rick Hawn, Steve Carl, Chris Lozano, Jim Wallhead and Brent Weedman. The winner of the 12-week tournament gets a shot at current Bellator welterweight champ Ben Askren. Hieron (19-4 MMA, 0-0 BFC) enters Bellator with a seven-fight win streak and nine wins in his past 10 fights. Most recently, he scored decision wins over Strikeforce fighters Jesse Taylor and Joe Riggs, but the former state high-school wrestling champion and JUCO national champ never was booked for the highly anticipated title fight with champion Nick Diaz. The New Yorker currently lives in Las Vegas and trains with Xtreme Couture. 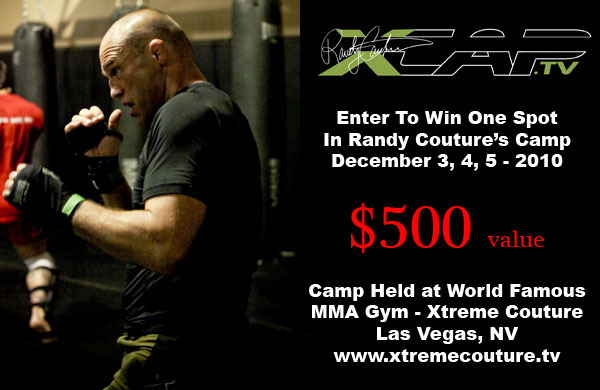 For three days you will train with Randy Couture and some of the best instructors in the sport of MMA today. The best part about this is you don’t have to know anything about MMA, if you are willing to learn this camp is geared for any experience level from beginner to the seasoned professional. A fight years in the making, two of MMA’s biggest icons, Randy Couture and Fedor Emilianenko finally go toe to toe inside the cage, as they face each other in a game of EA’s MMA. Even with XCAP Supplements branded on Randy’s fight shorts, it was no help in the virtual game world. The game is released across America today, and Friday in Europe. Couture and Fedor feature on the cover of the game. 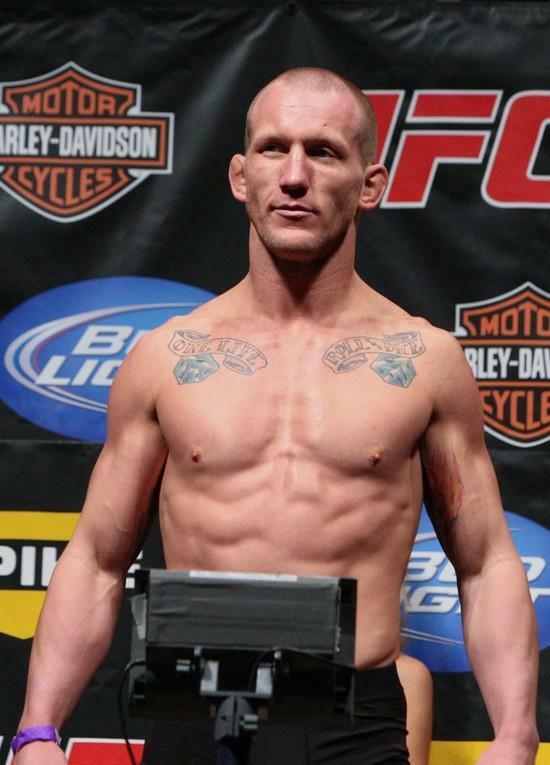 The 12th installment of the Strikeforce Challengers prospects series is set for Nov. 19, Strikeforce spokesman Mike Afromowitz today confirmed with MMAjunkie.com (www.mmajunkie.com). The event features fast-rising lightweight Justin Wilcox (9-3 MMA, 3-1 SF) against Vitor “Shaolin” Ribeiro (20-4 MMA, 0-1 SF) and the return of lightweight Ryan Couture (1-0 MMA, 1-0 SF). The Showtime-televised event takes place at the Jackson Convention Complex in Jackson, Miss. Wilcox looks for his fourth consecutive win in Strikeforce and his fifth straight win overall. Since a loss to Mitsuhiro Ishida in his 2008 promotional debut, the American Kickboxing Academy fighter has defeated David Douglas, Daisuke Nakamura and Shamar Bailey under the Strikeforce banner. He could take a big step toward title contention with a win over Ribeiro, a Shooto and DREAM vet who signed with Strikeforce back in 2009. After a near-yearlong wait, he made his promotional debut in May at “Strikeforce St. Louis: Heavy Artillery” and dropped a close split decision to undefeated Lyle Beerbohm. Although he began his career with a stellar 19-1 mark, the Brazilian jiu-jitsu black belt has dropped three of his past four fights (with additional losses to notables Gesias Calvancante and Shinya Aoki). Couture, the son of UFC Hall of Famer Randy Couture, signed with Strikeforce earlier this year and made his promotional debut with a slick first-round submission of Lucas Stark at Strikeforce Challengers 10.